In appreciation for all that the teachers, faculty, and staff do for our children, Parents Council prepared and hand delivered Mishloach Manot on behalf of all our parents and students. 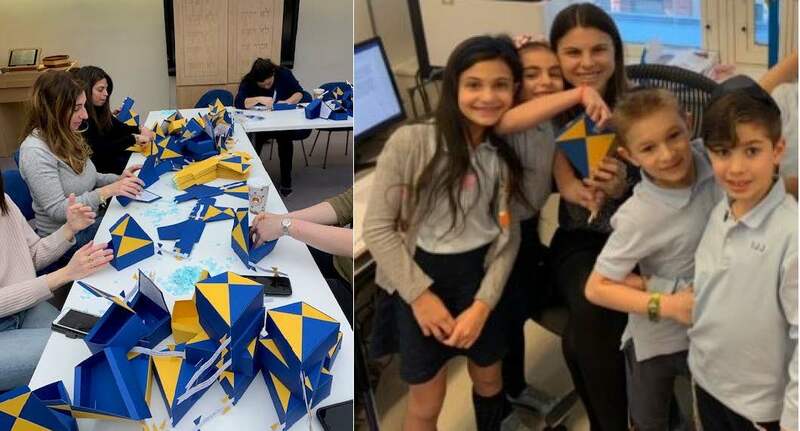 In the spirit of this year's menschlichKITE theme, the treats were packaged in kite-shaped boxes and purchased through Yachad, an organization dedicated to helping the needs of people with disabilities and ensures their inclusion in all aspects of Jewish life. A special thank you to the parent volunteers, and chair Elyse Efron, for their incredible talents and dedication in designing, ordering, packing, and distributing these special gifts with love and gratitude.